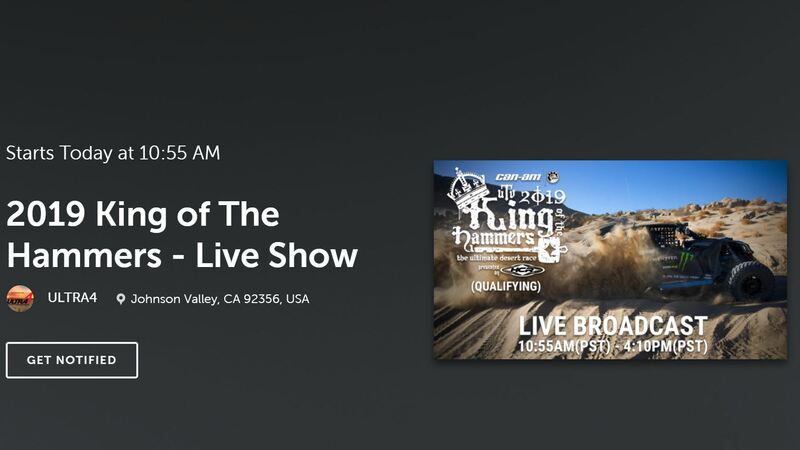 FREE LIVE STREAMING VIDEO: King Of The Hammers 2019 Is LIVE Right Here!!! It is that time of year people! King of the Hammers time! I love this event so much and look forward to it each and every year since my first visit. Like Bonneville, or Moab, or Monaco, King of the Hammers is an event you can only understand fully by going yourself. And we recommend it highly, because spending time in Hammertown means you will be having a great time, partying like a rock star, and watching some of the most impressive off-road racing you’ll find anywhere. If you aren’t going this year, don’t worry about it because the King of the Hammers live streaming video coverage is second to none. We’re talking helicopters, drones, and live cameras galore. Project Binky Is Back! The Creature Comforts Continue. Ultra Trick Speaker And Stereo Mounting Solutions. Day Three PRO Winter Warm-Ups, Mike Salinas & Alan Johnson 3.747 ET!